La La Land director Damien Chazelle and star Ryan Gosling are reteaming on the Neil Armstrong biopic First Man for Universal Pictures, according to Variety. Chazelle will direct from a script by Oscar winner Josh Singer (Spotlight). Filming is expected to start in early 2017. When Apollo 11 touched down on the moon’s surface in 1969, the first man on the moon became a legend. In First Man, Hansen explores the life of Neil Armstrong. Based on over fifty hours of interviews with the intensely private Armstrong, who also gave Hansen exclusive access to private documents and family sources, this “magnificent panorama of the second half of the American twentieth century” (Publishers Weekly, starred review) is an unparalleled biography of an American icon. Upon his return to earth, Armstrong was honored and celebrated for his monumental achievement. He was also—as James R. Hansen reveals in this fascinating and important biography—misunderstood. Armstrong’s accomplishments as engineer, test pilot, and astronaut have long been a matter of record, but Hansen’s unprecedented access to private documents and unpublished sources and his interviews with more than 125 subjects (including more than fifty hours with Armstrong himself) yield this first in-depth analysis of an elusive American celebrity still renowned the world over. For a pilot who cared more about flying to the Moon than he did about walking on it, Hansen asserts, Armstrong’s storied vocation exacted a dear personal toll, paid in kind by his wife and children. 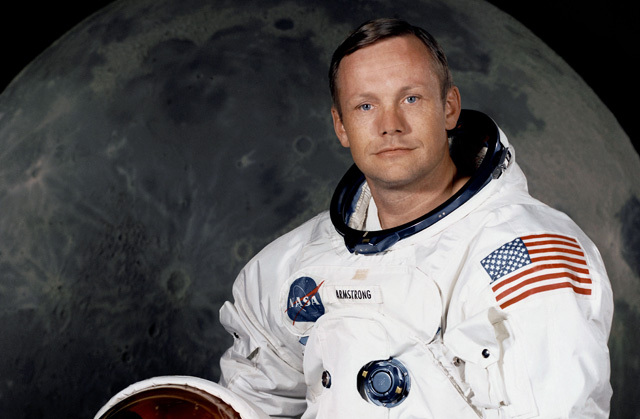 For the forty-five years since the Moon landing, rumors have swirled around Armstrong concerning his dreams of space travel, his religious beliefs, and his private life. In a penetrating exploration of American hero worship, Hansen addresses the complex legacy of the First Man, as an astronaut and as an individual. In First Man, the personal, technological, epic, and iconic blend to form the portrait of a great but reluctant hero who will forever be known as history’s most famous space traveler. Temple Hill partners Wyck Godfrey and Marty Bowen are producing the film. Isaac Klausner will executive produce. Hansen is attached to co-produce. Universal’s VP of Production Sara Scott will oversee the project for the studio.